Slow Cooker Chicken Enchilada Soup, made with red enchilada sauce, is an easy, healthy, deliciously flavorful soup with a kick. 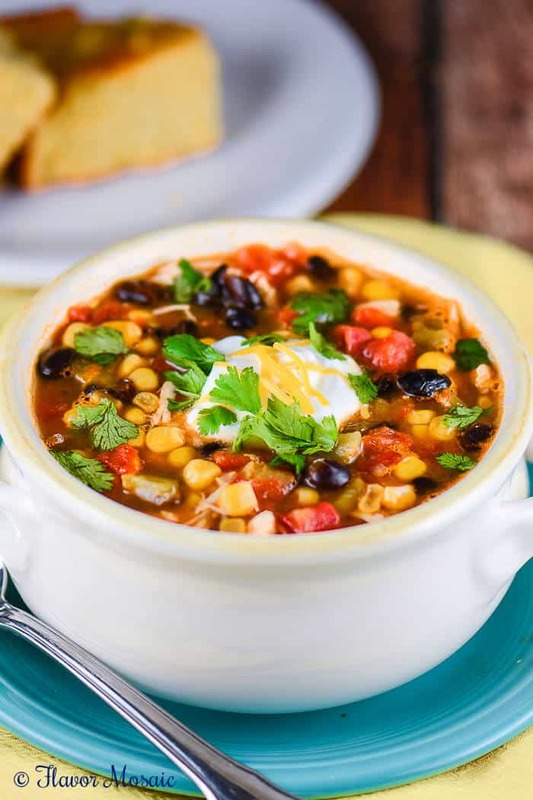 I’m always on the lookout for easy, delicious healthy dinners, and this Slow Cooker Chicken Enchilada soup delivers on all those things. First of all, it is easy. Come on, all that is required is emptying cans of various ingredients, as well as cooked chicken, into a slow cooker, and turn it on low. It does not get easier than that. Secondly, it is delicious. With the smoky, spicy flavor of the enchilada sauce and the cumin, oregano, diced tomatoes, green chilies, and jalapenos, it has tons of bold flavors. To me, it is not too spicy. However, to reduce the heat level, reduce or eliminate the jalapenos. To me, it is not too spicy. However, to reduce the heat level, reduce or eliminate the jalapenos. Third, despite being easy and delicious, it is healthy. 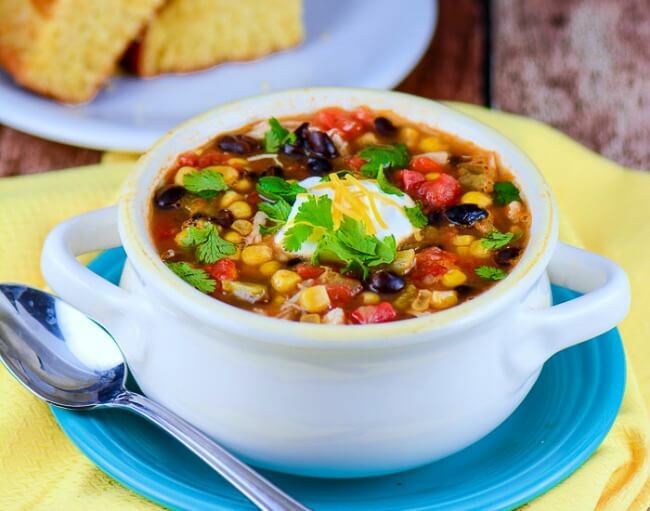 With chicken, chicken broth, corn, tomatoes, and black beans, it is high protein, high fiber, and low fat. 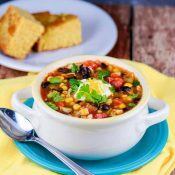 Plus on a cold winter night, this soup served with cornbread will warm you up and keep you full. What I love is that it tastes so good, no one will know how easy and healthy it is. We can let that be our little secret. Add all ingredients into a slow cooker. Cook on low for about 6 to 8 hours. 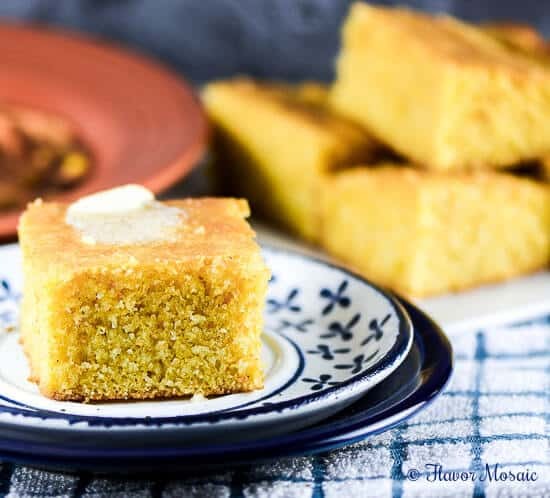 For an excellent side dish to serve with this soup, try my Easy Homemade Buttermilk Cornbread. 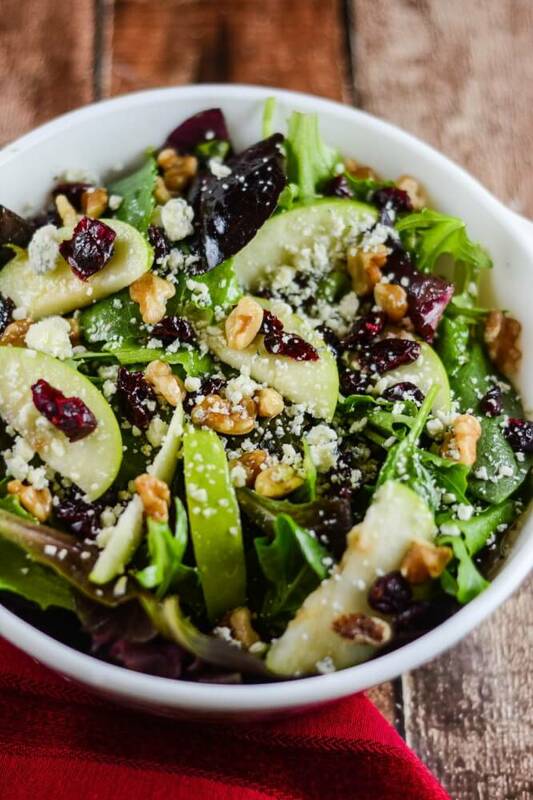 Or maybe serve it with this Apple Walnut and Cranberry Salad instead. 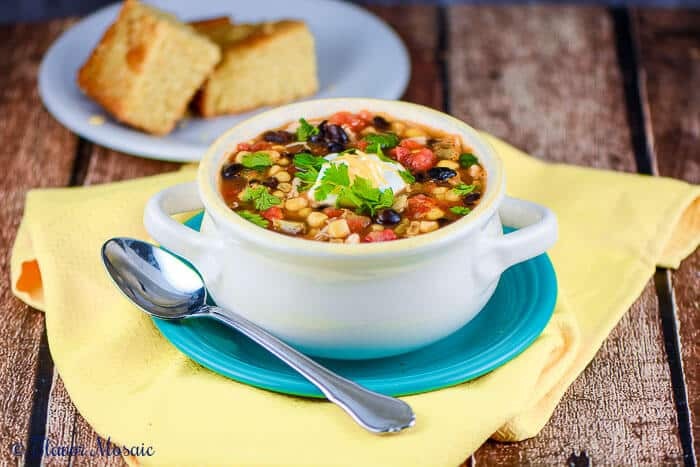 Or try my Copycat Olive Garden Pasta e Fagioli Soup. 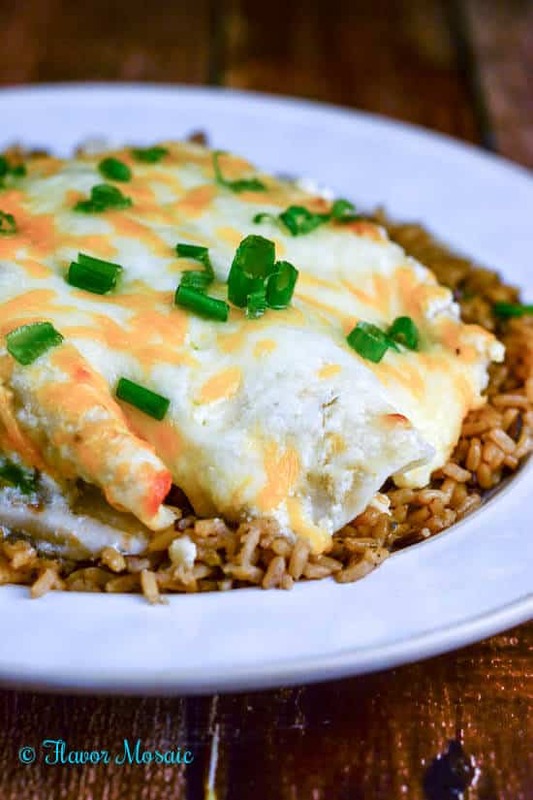 If you are in the mood for more Mexican Food, try my Cheesy Tomatillo Verde Sour Cream Chicken Enchiladas. 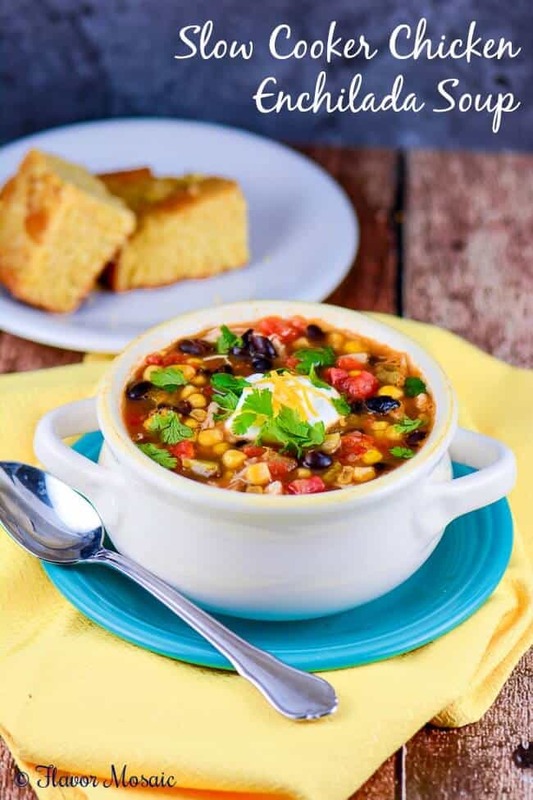 Your enchilada soup recipe looks delicious! Can’t wait to try it! Looks like a delicious recipe, and any excuse to make a nice big batch of corn bread is good by me! I love Soup. Thank you very much for sharing this article. 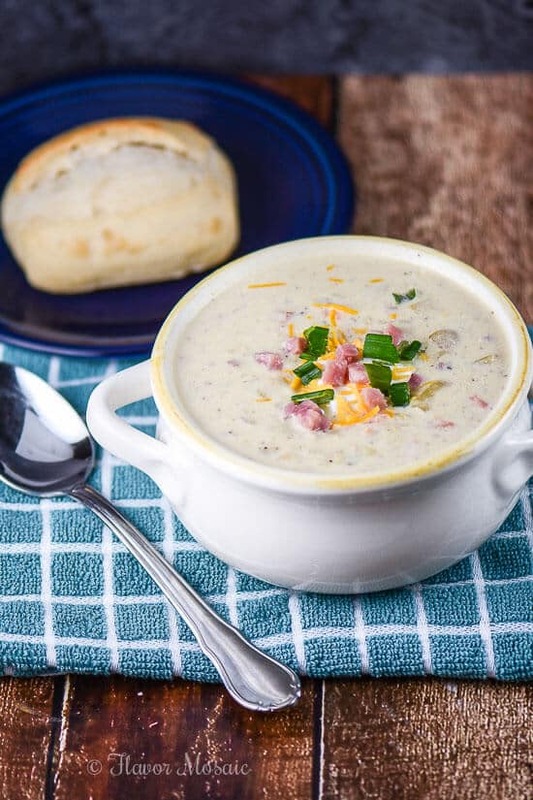 Thanks for sharing this recipe, the soup looks fabulous. I will definitely try it out! !